Football: Where Are The English Keepers? HomeFootballFootball: Where Are The English Keepers? When Everton signed 23-year-old goalkeeper Jonathan Pickford in June for a fee of up to £30m it made him the most expensive British keeper in history and the third most expensive in the world behind Juventus legend Gianluigi Buffon and Manchester City’s Ederson Moraes. The stunning thing about that sky-high fee was that Pickford (left) had played barely a handful of Premier League games for Sunderland, spending almost his entire career on loan in the lower leagues or sitting on the bench for struggling Sunderland as an unused substitute. 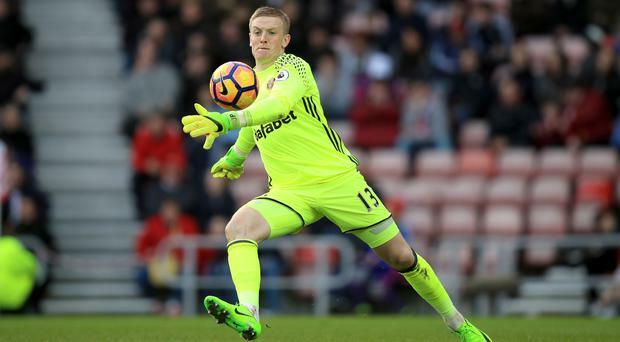 Pickford has since shown promise for Everton and made an impressive debut for England against Germany on Friday. The surprise is that he is already one of England’s best, given that there was a time when most of the top goalkeepers in the Premier League were English. The national team had a steady stream of contenders to be the next David Seaman (left) or David James. Now we are left with hardly any decent locals between the sticks. The current crop of home-grown keepers is simply not good enough for the league let alone for the international stage. A big part of the problem is the pressure around being England’s number one, which has swallowed up a lot of good keepers and ruined their careers. Robert Green’s error against USA that allowed a Clint Dempsey goal was scrutinised endlessly by television, newspapers and social media, prompting a huge decline in his career. Unfortunately for the Huddersfield Town man, he will always be known for that error rather than some of the superb performances that earned his call-up in the first place. In a similar way, Chris Kirkland was having the time of his life as Liverpool’s main man and with Wigan but his England career lasted one game in which he was at fault for a goal. Aside from the pressures of being England’s main keeper there is also the problem of foreign recruitment. Most of the world’s top managers are from continental Europe and they demand goalkeepers who are good with the ball at their feet. The exit of Joe Hart (left) from Manchester City is a case in point – the moment Pep Guardiola walked through the door, Hart’s career was over. The Spanish manager’s philosophy of playing out from the back and using the keeper as an extra outfield player was never going to work out well for the Englishman. The gulf between the continental and English approaches is largely because the style of play used in the lower English leagues tends to be long-ball football so the keeper is just there to save shots and hoof it up field. Most teams in the Championship, League One, League Two and every lower division play with a big man up front, meaning long balls are the way to play. That means the keepers do not have to play out from the back, which is something Hart and several others like Tom Heaton (left) struggle to do. Players like John Ruddy, Ben Foster and Jack Butland all play for teams that play the ball long rather than short, so they never get the chance to test themselves with the ball at their feet. That is the key to why foreign keepers are given the nod by managers and scouts in the Premier League. Pickford is the only English keeper who is superb with his feet. His distribution is among the best in the league and it is easy to see why there are such high hopes for him in the national set-up when there are so few other candidates putting themselves forward for England. Fraser Forster (left) is an impressive shot-stopper and isn’t too bad at receiving the ball at the back but his tendency to make errors from long range shots will leave him exposed in top-level competition. 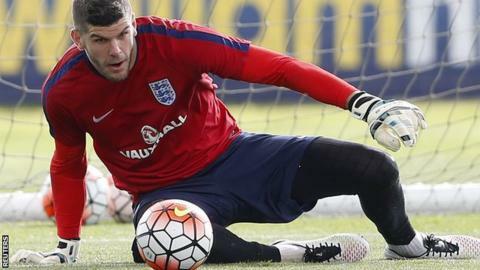 The problem for England fans and managers is that this shortage of top-flight keepers is not going away any time soon. Things won’t change until the style of play in the lower leagues changes to give keepers a chance to show what they can do with the ball at their feet. Just being able to save shots isn’t good enough anymore as English goalkeepers and team strategies simply are not keeping up with the evolution of the game. Football: Which Nations Will Win? Football: Can You Name Top Five Bargains Of The Season? 4 Under the Radar Lingerie Stores you Need to Know! Shop this Seasons Top Trending Military Coats! Shop the Edit: The Top 20 Thongs Trending Now!